Can Dogs Eat Olives (Black or Green?) Are Olives Good or Bad for Dogs? Today’s question: can dogs eat olives? Scroll down for detailed answers. The diet of a dog is essentially very different than that of a human. Dogs may eat a lot of things that seem weird to you, and foods that do not seem to taste good, have a nice texture, or even offer nutritional benefit. A dog will primarily eat meat, kibble, or wet food, usually made in a factory by a particular brand of dog food. 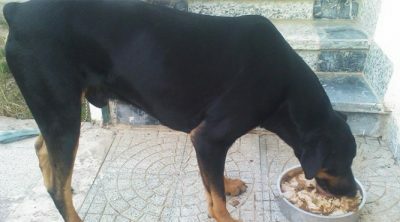 Those who create and prepare the dog food for sale, do so with particular guidelines and safety measures in place. 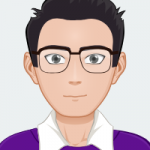 The guidelines are in place to ensure dog food is within a nutritional realm for dog health, as well as somewhat appealing in taste to the dog. In addition to dog food (that humans deem uneatable) and dog treats, our canine friends can also indulge in alternative snacks. Those dog foods that are unappealing and weird to you, may seem incredibly delicious and extravagant to your dog. People who are not dog owners may not be familiar with this, but dogs will actually beg for human foods such as fruits, vegetables, sweets or other foods that they see you are eating. Begging for food is a habit to be discouraged and is exactly why you have to be diligent about what human foods feed to your dog. Does Olive Consumption Have any Benefits? Can Dogs Eat Olive Oil? Any Restrictions When it Comes to Olives? Typically, owning a dog is uncomplicated because they are not fussy eaters, at all. A dog will eat most anything you offer, and eat most anything you do not offer either. 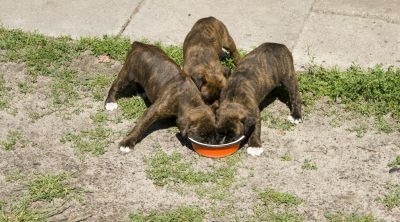 A dog will be more than happy with eating their usual kibble, so you do not have to worry about what you are feeding them as long as proper dog food is offered every day. 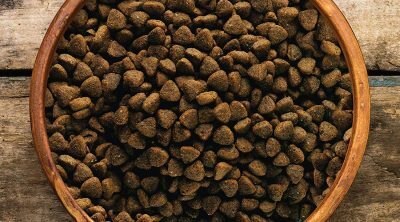 Their specialized dog food contains all sorts of beneficial and much-needed nutrients and other valuable substances. Since the store bought dog food offers all of your dog’s needs as far as taste and nutrition, supplementing the diet of your dog is not deemed necessary. But even though your dog may not ‘need’ to have supplements to his/her diet, or eat from a more refined menu including olives, your pet will need some variety. 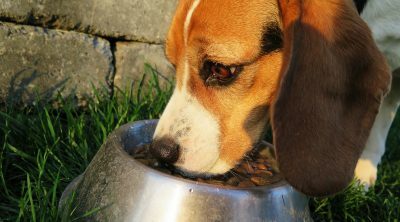 Variety may be given to your dog’s diet through alternative food sources. You may be tempted to offer any old food source as a treat for your dog, your pup is not recommended to eat the same foods you are. Can dogs eat just any odd thing you do? Not quite. You need to be careful about what you feed your pet if you decide to stray from the usual dog food. Your pooch will beg for anything you eat, but that does not mean that he can eat it all. Dogs are not able to determine which foods are healthy and safe for them to eat, nor are dogs able to safely to prepare their own food to ensure proper consumption. You must be the one to determine the foods that are appropriate for your dog through research and conversations with your vet. You may already know by now that some foods are harmful and even deadly to dogs, even if they are perfectly fine for humans or other animals. The best example of this is chocolate; this sweet treat may be craved by you, but you have to keep it away from your dog because it is highly toxic. 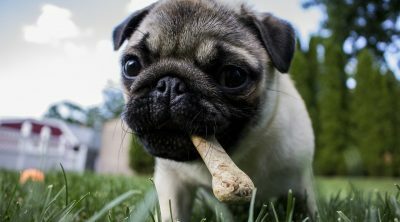 Other foods that are toxic to dogs include grapes, raisins, macadamia nuts, onions, garlic, xylitol and yeast though. These should be avoided at all times. A rule of thumb is not to offer your dog food that has a seed, a casing, a shell, bones, or any type of seasoning. Also, you may want to remember that not all fruits are suitable for dogs. In fact, you should be careful about the fruits that contain pits/seeds. Not only because food with pits and seeds are a choking hazard, but also because the food can be toxic. Generally, a dog will not crack open the seed when he eats a peach, for example, but if it does happen, eating the seed of a peach can be very dangerous because it contains various toxic substances. 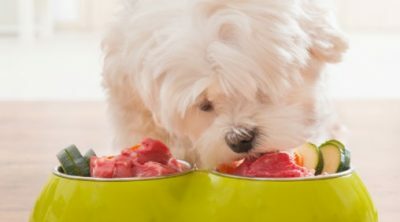 With the list of foods that are off limits to dogs continuously growing, it seems most all human food should be avoided when giving to a dog. Dogs truly do not require additions to their food by way of human food, so be cautious when offering any type of new food to your pet. Fortunately, olives are among the foods that dogs are allowed to eat. I say “fortunately”, because canines love olives as treats, once in a while. Some people choose not to feed olives to their pets, but they are considered safe, as long as you remember to take out the seeds. Black olives and green olives are both alright for canine consumption if your dog is so inclined, but there are some guidelines you need to follow. Always remove seeds from olives when applicable. Seeds of any kind can contain toxins. Seeds that may not be considered toxic themselves are toxic in other ways-causing potential episodes of choking and intestinal blockage. Seeds should be avoided at all times. In the event you cannot remove all of the seeds from an olive, or your dog has eaten olives that contain seeds without your approval, watch your dog for any potential side effects and be sure his/her digestion is not halted. In the event you have questions on the behavior of your dog after eating olives, be sure to contact your vet for advice. Aside from always taking the pits and seeds out the food you offer your pet, you may want to start with a little test, before feeding olives to your pet. Whenever you want to introduce something new into your dog’s diet, you should give them a small piece first, in order to see if they like it and if they do not have a negative reaction to it. Your dog may not like olives and may spit the olive out or refuse the olive all together. In this event, the behavior of your dog is fine and even considered normal. In the event you dog accepts the olive and seems to enjoy the taste and texture, allow him/her to enjoy olives in small amounts so you are better able to discern any potential consequences. Even though olives are okay for dogs, your particular pet may hate olives, or it may be allergic to them – you never know, so always check. Do not force feed olives to your pet or feel the need to disguise olives in your dog’s food. Olives are not a necessary part of the dog’s diet and should be relegated to treat status only-and at your dog’s insistence. The good news is that olives are not only tasty, but they are also very healthy! They may be small, but they are rich in vitamin K, vitamin E, and vitamin A, as well as calcium, protein, and antioxidants. Vitamin K helps in maintaining the health of your pet’s bones while vitamin E and vitamin A contribute to the health of your pooch’s eyesight and the beauty of his fur. In addition, they are a great source of monounsaturated fats, which help lower cholesterol levels. Dog owners may not find themselves all that careful in the range of cholesterol levels their dogs have. Minding one’s own cholesterol levels are important, but one must not forget about the levels in their dogs. In the event your dog is in need of a supplement to offset their cholesterol numbers, adding olives to their diet may help this problem in a natural way. It tastes good: If you need your dog to take his/her medication, you can smear some olive oil on it. Helps to lose weight: Olive oil is rich in monounsaturated fats which aid in weight loss by breaking down fat cells. Healthy if consumed moderately: Helps lowering cardiovascular diseases and diabetes. Oleic acid in olive oil is believed to prevent some types of cancers. Promotes immune system: Olive oil contains antioxidants, vitamin E, carotenoids, and chlorophyll which help to strengthen immune system. Youth: Olive oil prevents free radical cell oxidation in the body which can speed up aging process. Brain Function: Olive oil helps to improve cognitive decline as your dog ages. Improved Circulation: Olive oil helps with oxygen and blood flow circulation in the body. Hair And Skin: Olive oil is used in many human skin and hair care products but it can do wonders for your dog too. You can condition your pet’s coat with olive oil. It will leave your dog with a nice healthy and shiny coat. Something you have to pay attention to is never feed your dog olives from a can. Canned olives are not toxic, and you do not need to rush him/her to the hospital if he has one. However, canned olives contain a high level of sodium, which can be detrimental to your pet’s health in the long-run. Dogs have a lower tolerance for salt than their human counterparts and thereby need to be monitored a bit more in the sodium intake. High salt diets and raised sodium levels may cause serious health problems, including death. In regards to feeding your dog olives, unsalted olives are always the best option. Olives are a great treat to offer in moderation, why make the treat an unhealthy one by offering the full salt version when an alternative is available? Also, olives have a pretty high fat content and giving your dog a fatty diet can lead to pancreatitis. Keeping the fat and salt content in olives in mind is a smart pet for any pet owner. In moderation, the sodium and fat content will not harm your pet, but if made a habit, your dog may suffer in the long run. In conclusion, dogs can eat olives. However, do not feed large amount of olives to your pet. A handful of olives are considered too many. It is best to give him only in small quantities. If given in excess, it may lead to stomach discomfort. 1-2 plain olives should be fine to give it to your pooch occasionally. They make excellent treats when your boy or girl has been an especially good dog. Just remember to start out slowly and gradually with new foods. Give a little bit to your pooch and then monitor you pet afterwards for any unusual behavior or symptoms. Moreover, if in doubt about a particular food, consult with your pet’s veterinarian first. I’m so excited to now know that olives are okay for dogs and that they love them as treats! I’ll have to start looking for the specialized pet food that you mentioned that contains olives in it. You also said that dogs should not eat the seeds. Why can’t the dogs eat the seeds of the olive? Hi, thanks for stopping by. 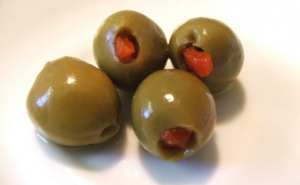 The olive pit may become a choking hazard particularly for smaller dogs. It’s safer to take it out since it may get stuck in the airways. Dogs usually eat fast and don’t chew their food completely.